The ESSENTIALS range has been at the forefront of the hobbyist hydro grower since 1997, Essentials has helping growers produce bumper yields with their ongoing product development, they constantly look for ways to improve existing products as well as creating innovative new ones. ESSENTIALS maintain stringent quality control to ensure their products perform every time. Every batch of liquid product undergoes complete lab analyses before shipment and all electronic devices are batch tested and QA marked. Use the ESSENTIALS range of growroom products to provide your plants with better growing conditions and they will reward you with faster growth and more yield. The ESSENTIALS range covers various different products from pH adjusters to test meters, Silicon and oxygen to cleaning products. 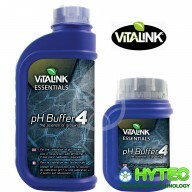 Essentials PH Buffer 4 Essentials pH buffers are a known solution of a certain pH value designed to test the accuracy of pH meters used to measure the pH of a nutrient solution. 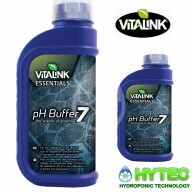 It is important to realise that unless you calibrate your pH meters with Essentials Buffer 4 and 7 at regular interv..
Essentials PH Buffer 7 Essentials pH buffers are a known solution of a certain pH value designed to test the accuracy of pH meters used to measure the pH of a nutrient solution. 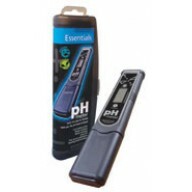 It is important to realise that unless you calibrate your pH meters with Essentials Buffer 4 and 7 at regular intervals..
Essentials CF Standard Essentials CF Standard is used to calibrate CF/EC meters. It is important to realise that unless you calibrate your CF/EC meters with Essentials CF Standard at regular intervals the accuracy of your CF/EC readings will be doubtful. Temperature will affect CF, always..
Essentials pH Down Hydrogarden pH adjustment solutions are specially prepared for use in hydroponics. They are extremely concentrated and care should be taken when in use. 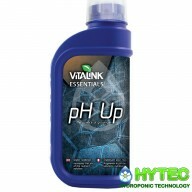 Hydrogarden's pH Down is 81% phosphoric acid and pH Up is 50% potassium hydroxide. Please pay special attention w..
Essentials pH Up Hydrogarden pH adjustment solutions are specially prepared for use in hydroponics. They are extremely concentrated and care should be taken when in use. 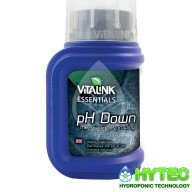 Hydrogarden's pH Down is 81% phosphoric acid and pH Up is 50% potassium hydroxide. 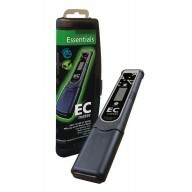 Please pay special attention whil..
Essentials EC Meter The ESSENTIALS pH Meter is truly the most rugged glass type pH tester around. It is water and drop resistant. Even if the tester is accidentally dropped into the water, it will remain afloat. This means you are able to retrieve the meter immediately without damaging the el.. 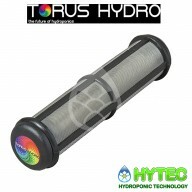 PERFECT PH-TORUS HYDRO The perfectpH is a revolutionary pH stabilizer that automatically balances the pH of your hydroponics system, keeping it in the ideal range for optimal nutrient absorption. 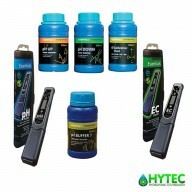 Using next generation ionization technology, the perfectpH eliminates excess pH swing that inhibit..
Essentials Total control Kit KIt Contains: Essentials PH meter Essentials EC meter 250ml PH up 250ml PH down 250ml EC calibration fluid 250ml Buffer 7 calibration fluid ..